The Canadian Rockies are a favourite summer and winter destination for travellers around the world. But many are missing out on the more mellow fall months, when crowds are thin, temperatures are just right, and the scenery is arguably more photogenic than any other time of year. From the fall colours on the golden larches to mountain vistas without another soul in sight, these are four reasons why you have to head to the Canadian Rockies this fall. Travel to the snow-capped peaks of the jagged Canadian Rockies between mid-September and mid-October, and you'll find cheaper airfare, lower accommodation prices, and special off-season deals on everything from craft beers to horseback tours. If you've ever visited Banff or Jasper in the summer months, you'll be wowed by how much the prices drop when the kids head back to school. 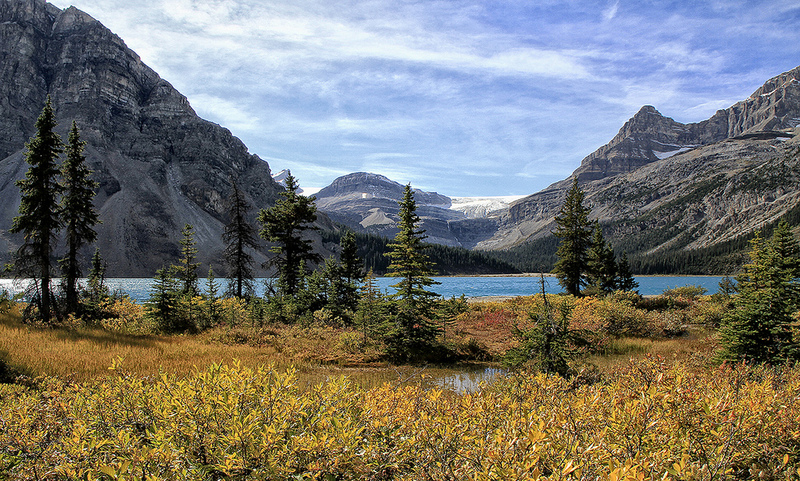 The Canadian Rockies are for hiking. Mountain trails wind throughout Lake Louise, Banff, Jasper, Canmore and other favourite Rocky Mountain towns, making it easy to hop on a trail seconds from your hotel. Thrill-seeking hikers can venture on the 13-mile-long hike to picture perfect Berg Lake in British Columbia's Mount Robson Provincial Park or stop at the countless photo-worthy viewpoints along the Lake O'Hara alpine circuit loop in Yoho National Park. 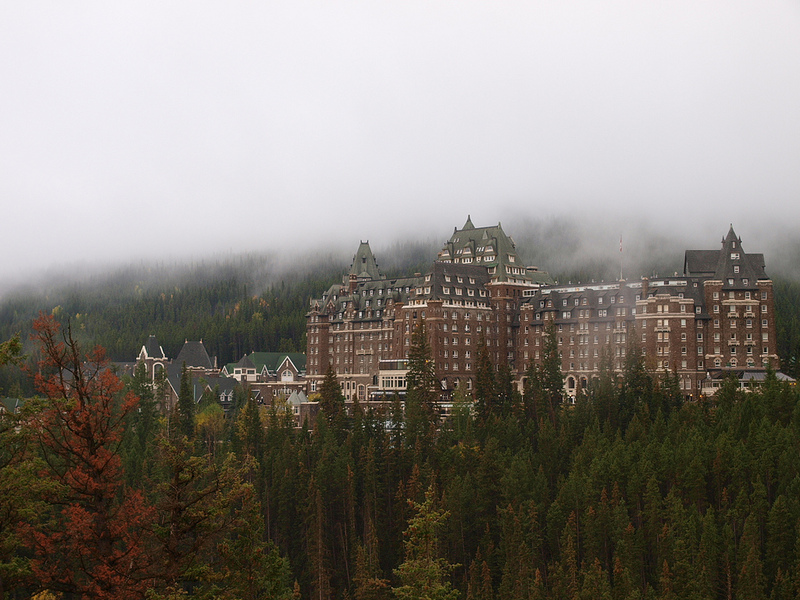 The Canadian Rocky Mountains are known for their snowy summits, emerald glacial lakes, and thick evergreen forests that weave through the peaks for miles. Fall is one of few times of year when you can marvel at the scenery without feeling fellow tourists on your heels. You won't find the fiery maples of Ontario in this neck of the woods, but you will be wowed by the contrast between the blazing yellows of the golden larches and the evergreen forests that back them. Even better, you can discover the unforgettable golds and greens of fall in the Canadian Rockies by horseback, canoe, mountain bike, or foot. Avid leaf peepers will want to pay a little extra to hop aboard the Royal Banff Dinner Train to dine on seasonal eats while snapping photos of the foliage from aboard a luxurious Royal Canadian Pacific train. Fall isn't for sitting indoors and waiting for summer to return. There's no better way to embrace the season than at the anticipated fall festivals taking place across the Rockies. The Lake Louise Wonderfall festival, from Sept. 5 to Oct. 12, will feature a long list of guided hikes, bikes, and horseback rides for locals and visitors. The Jasper Dark Sky Festival is another must-visit fall event for anyone who loves being outdoors on crisp fall evenings in the mountains. Jasper is home to the largest accessible Dark Sky preserve in the world, and the festival's workshops, photography sessions, and activities for adults and kids are guaranteed to spark a new interest in astronomy this autumn. Whether you're in search of an action-packed adventure or soothing scenery, there's no better place to be than among the rugged peaks of the Canadian Rocky Mountains this fall.